The Mars Society is pleased to announce that Dr. Louis Friedman, a prominent scientist, author and co-founder of The Planetary Society, will give a plenary talk about the political history of the humans-to-Mars effort at the 21st Annual International Mars Society Convention, scheduled for August 23-26, 2018 at the Pasadena Convention Center. The address will focus on the attention that planning for human Mars exploration has received from past U.S. administrations ranging from President Nixon to the present. 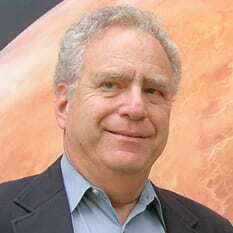 As the long-time (and currently emeritus) executive director of The Planetary Society, Dr. Friedman is one of America’s leading space advocates, having spent over 30 years guiding the Society in its pro-space agenda. He also served for ten years at the Jet Propulsion Laboratory, helping to plan deep space missions, including Voyager, Magellan, Mariner, Halley Comet Rendezvous and the Mars program. Dr. Friedman also worked for five years at AVCO Space Systems Division on both civilian and military space programs. For more details about the 2018 International Mars Society Convention, including online registration and call for papers, please visit our web site (www.marssociety.org). A list of confirmed speakers and a tentative program itinerary will be posted on the web site in the coming weeks. Copyright © 1998–2019 The Mars Society. All rights reserved.